Ethyl Glucuronide, aka EtG is the best way to effectively monitor alcohol abstinence.No one would argue that the number one abused substance in America is alcohol. There are many ways to detect alcohol consumption, and breathalyzers are a wonderful tool in corrections for detecting someone under the influence. However, for those who encourage and monitor abstinence of alcohol, detecting its use after only a few hours had been extremely difficult. Negative breathalyzer readings, and traditional ethanol alcohol tests do not necessarily indicate abstinence. Ethyl Glucuronide (EtG) was found to be a direct metabolite of the alcohol (ethanol). EtG has emerged as the marker of choice for alcohol and due to the advances in technologies is now routinely available. Its presence in urine may be used to detect recent alcohol consumption, even after ethanol is no longer measurable using the older methods. The presence of EtG in urine is a definitive indicator that alcohol was ingested. For the Rapid Forensic Use Only. Not intended to diagnose a medical condition or disease. 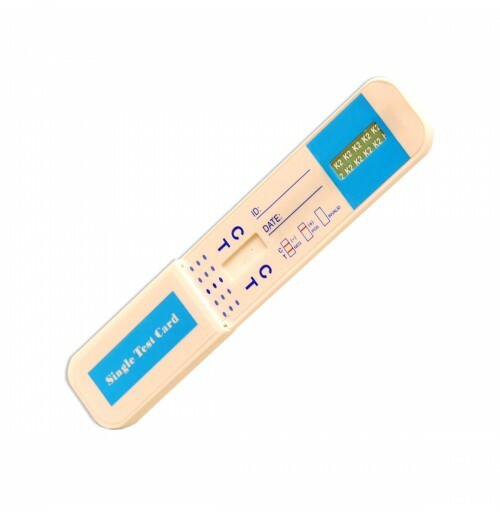 This instant urine alcohol testing kit is ideal for use anywhere that has a zero tolerance policy for alcohol like alcohol abuse treatment centers, probation offices and workplaces that have a no-alcohol policy.